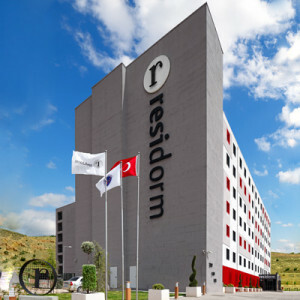 Residorm provides services as a dormitory chain in “Yahşihan” campus of the Kırıkkale University, the “Kötekli” campus of the Muğla Sıtkı Koçman University and the “Çağış” campus of the Balıkesir University, under the supervision of these universities; and provides great convenıence to the students, under its slogan – “right in the campus, just next to the faculties”. Living right in the campus allows the students to save on transportation costs and eliminates the reason for being late for class, and the students have the opportunity to accommodate in Residorm without making any additional payment for utilities, internet or cleaning services. Residorm aims at eliminating one of the biggest hardships in university students’ lives by providing catering services for breakfast and dinner. The facilities located just next to the Residorm buildings have extra amenities, such as supermarkets, cafes, restaurants, hairdressers and fitness centers that allow the students to meet their basic needs without leaving the campus. Do you know that using a Resicard while staying in a Residorm dormitory gives you advantages increasing by the year? 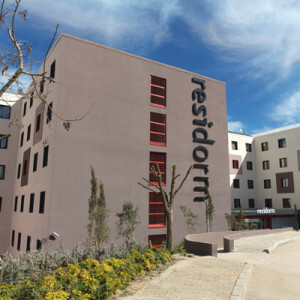 Do you know that the Residorm dormitories are located right in the campuses, just next to the faculties? 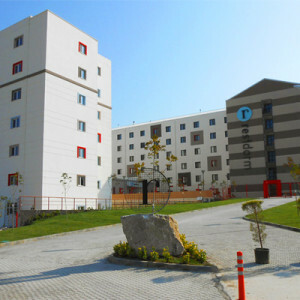 Do you know that there are disabled accessible rooms in each Residorm dormitory? Do you know that you may stay in the dormitories for 10 months a year, and pay only for those 10 months? Do you know that you have the chance of choosing your roommate, if there are rooms available? Do you know that there is a mini fridge in every room? Do you know that there are breakfast and dinner packages that you may purchase as an extra?